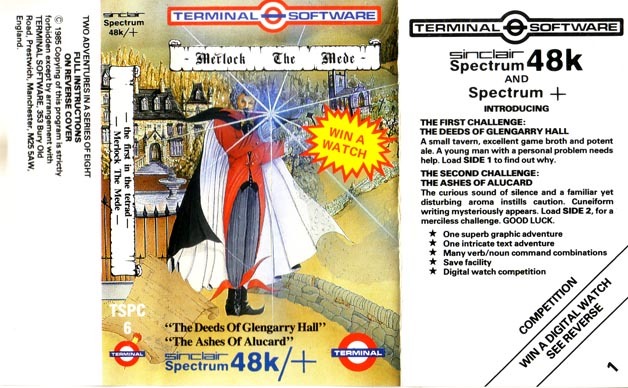 Remarks "Win a Terminal Merlock Digital Watch. Collect all four cassettes in the series. Complete all eight challenges and list the changes of colour of the sceptre in order and send the list together with the four competetion tokens Nos 1, 2, 3 & 4 and we will send you a digital watch free of charge. Offer subject to availability - So hurry."